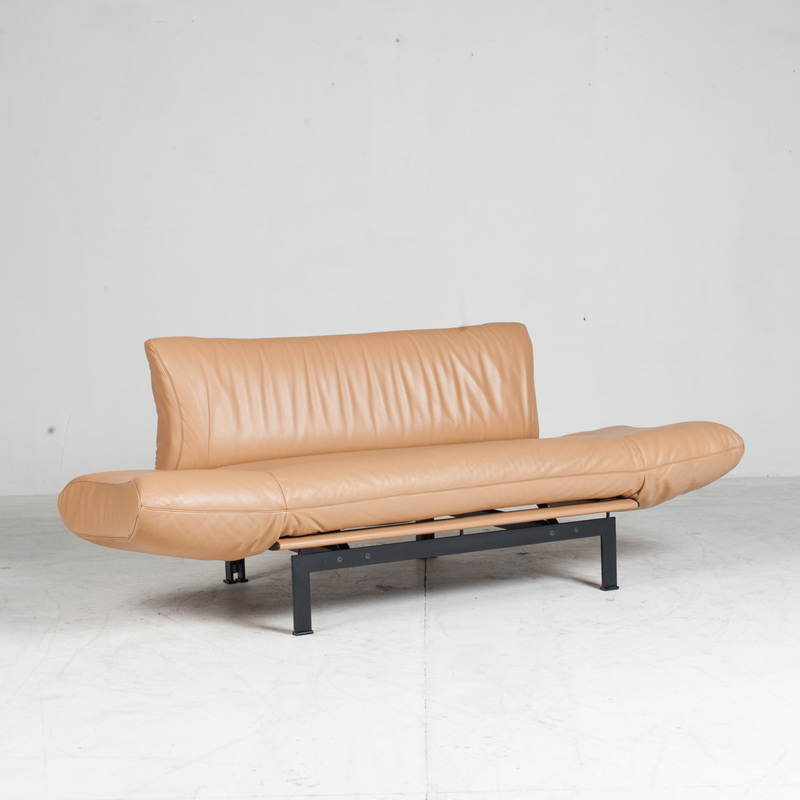 A fantastic example of the unique designs of Reto Frigg for Swiss manufacturer de Sede. 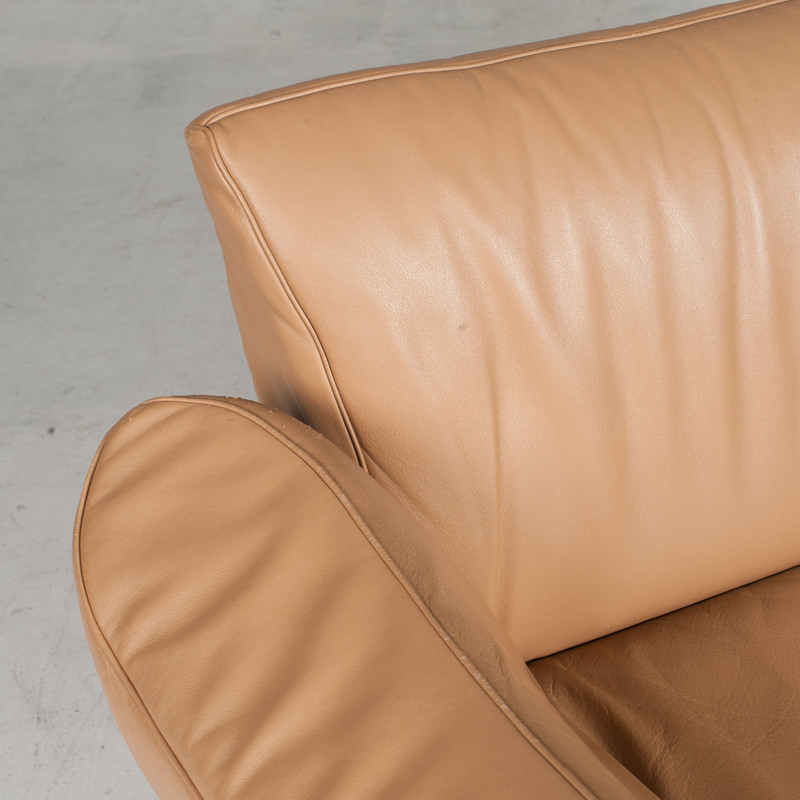 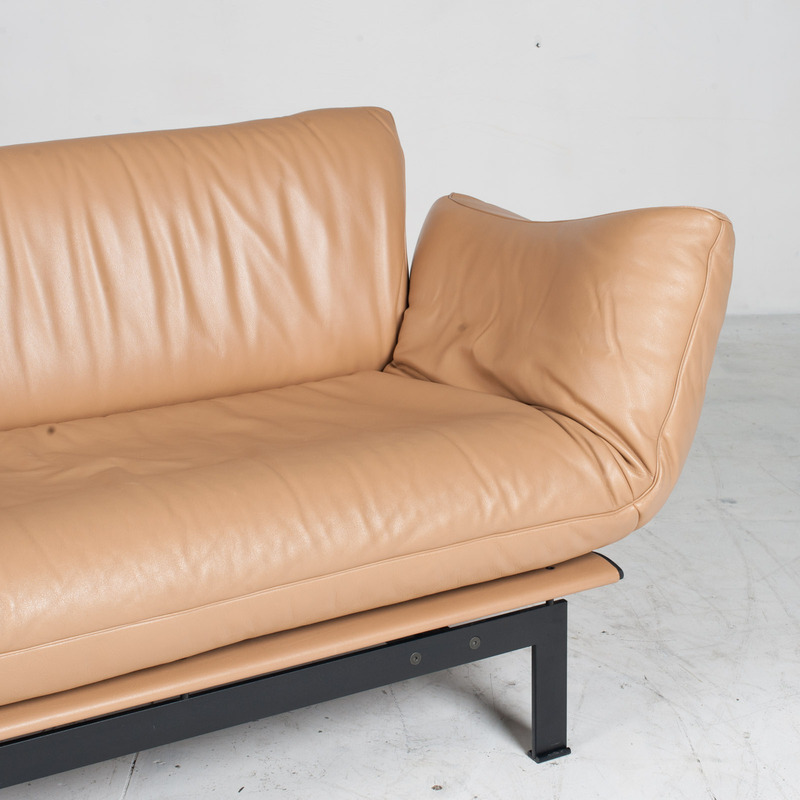 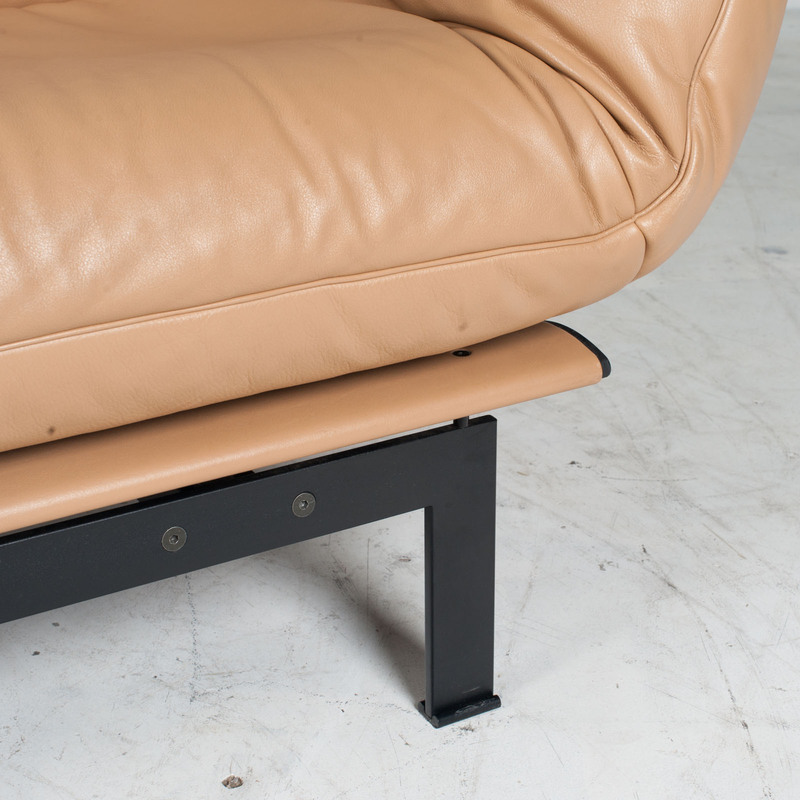 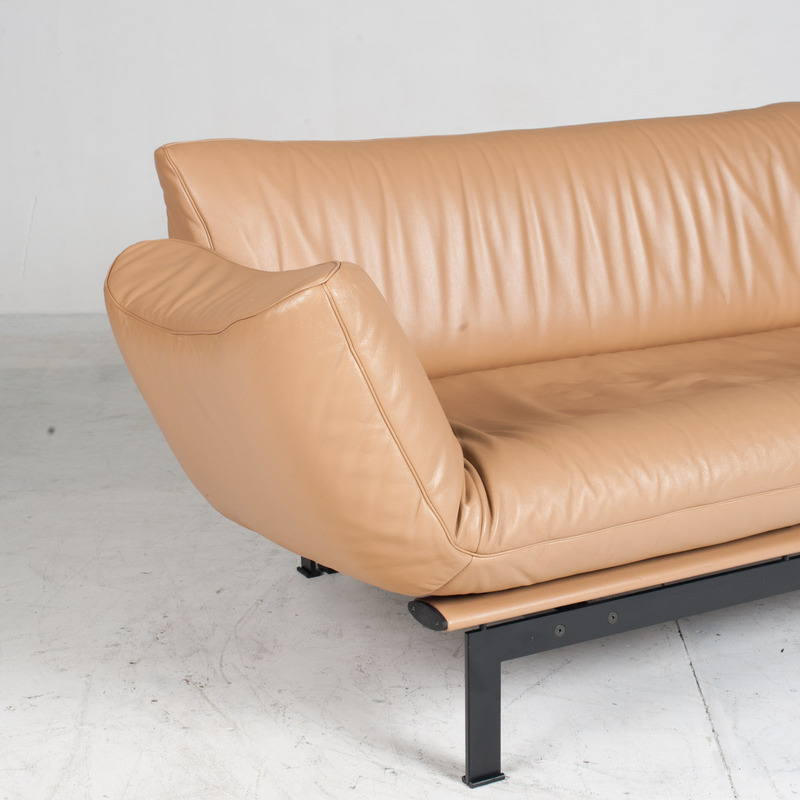 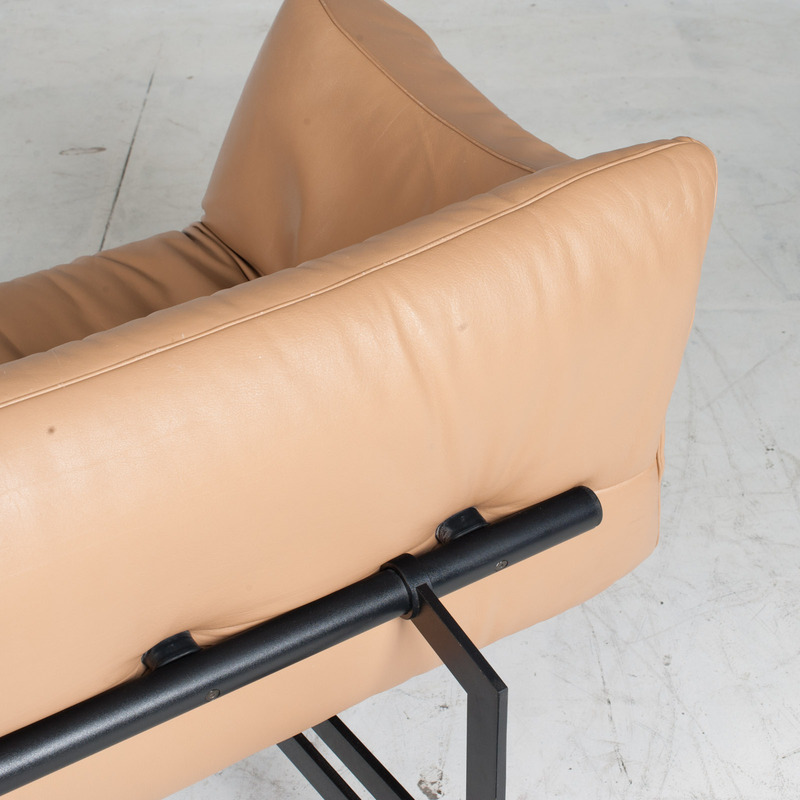 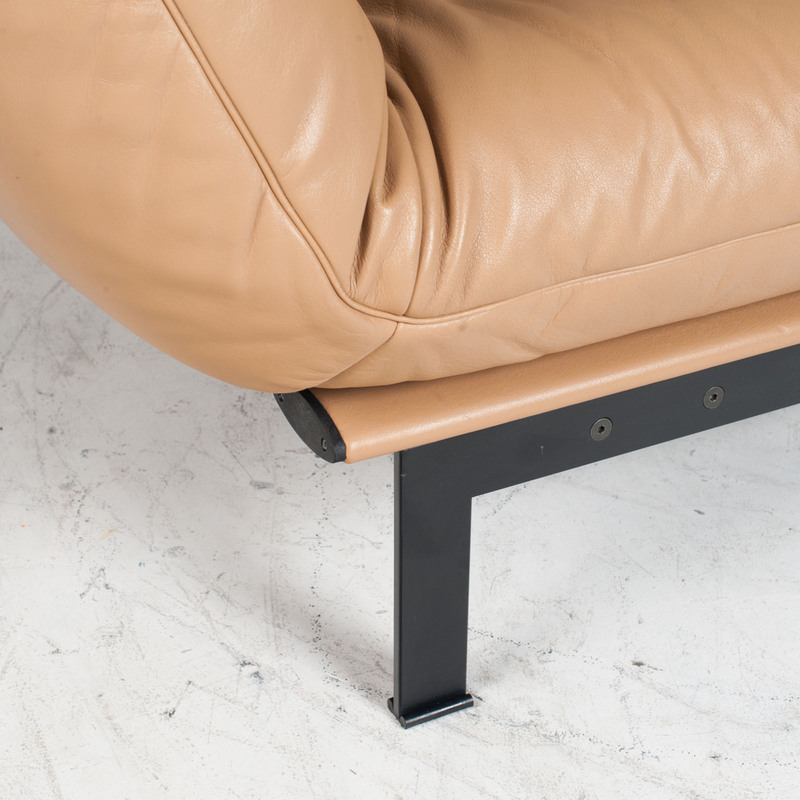 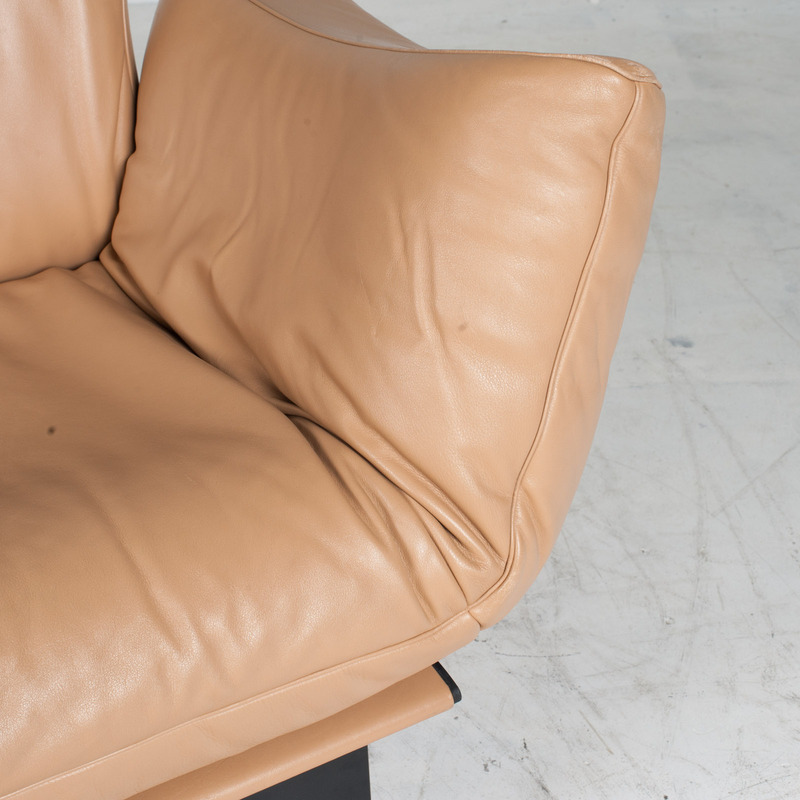 Renowned for their inimitable quality and craftsmanship, de Sede’s handcrafted leather furnishings are the epitome of contemporary European design, and this piece is no exception! 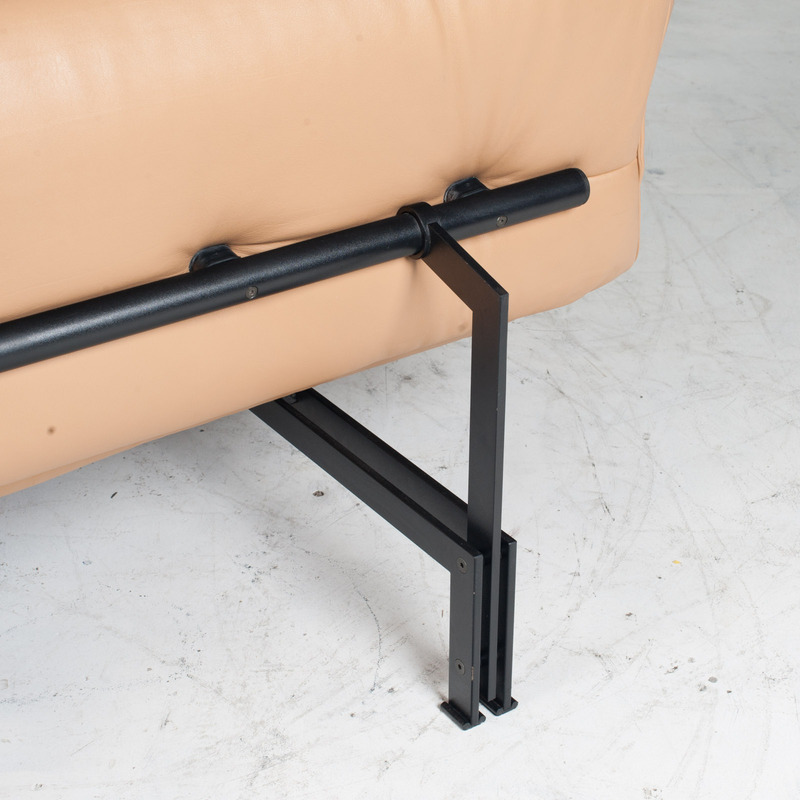 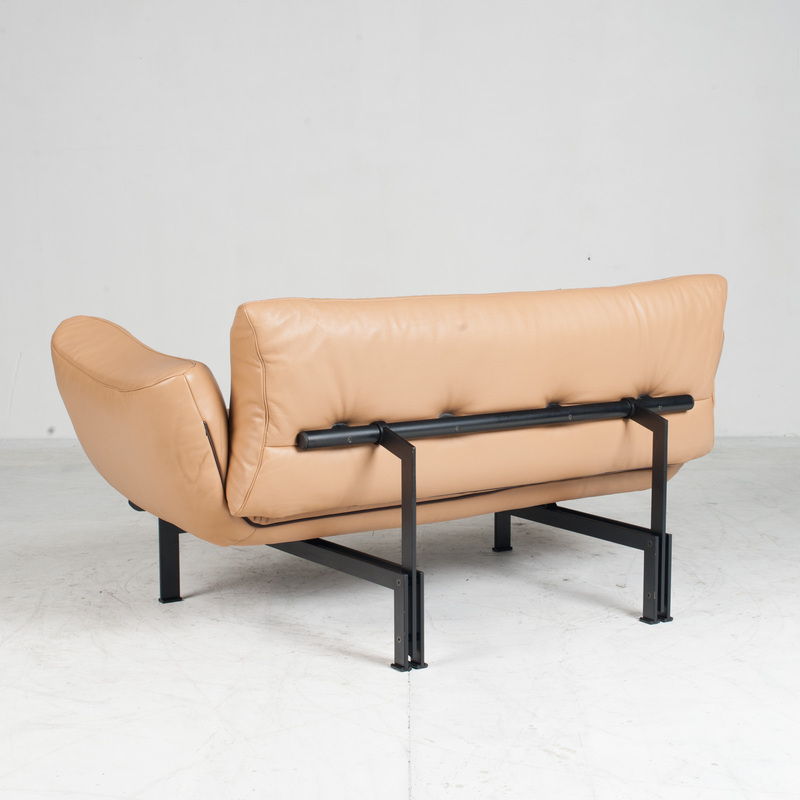 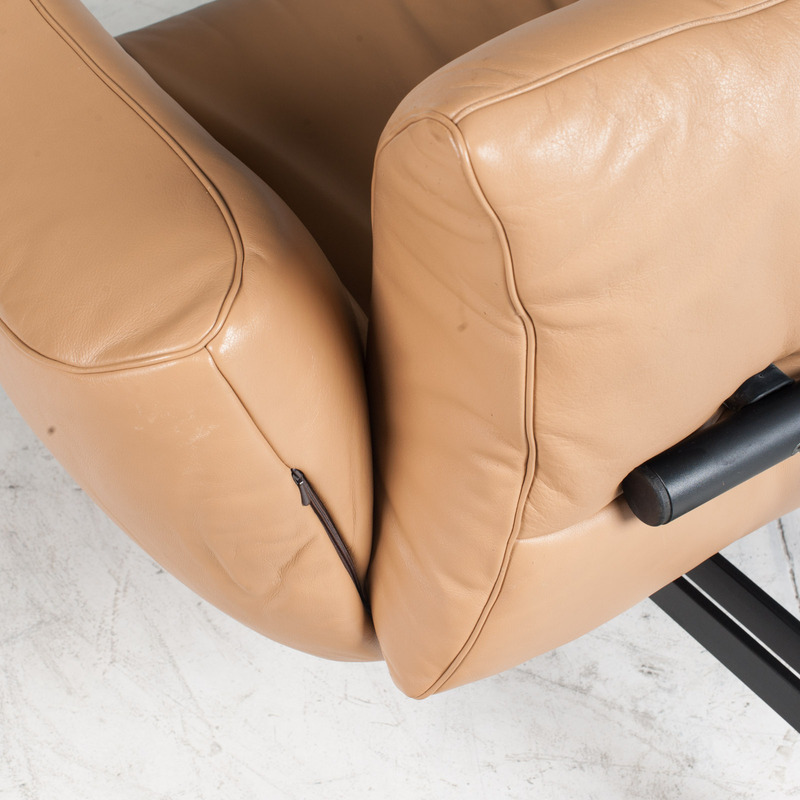 Featuring an exposed black steel frame with original plush leather cushioning and adjustable armrests making it possible to use as a sofa or daybed. 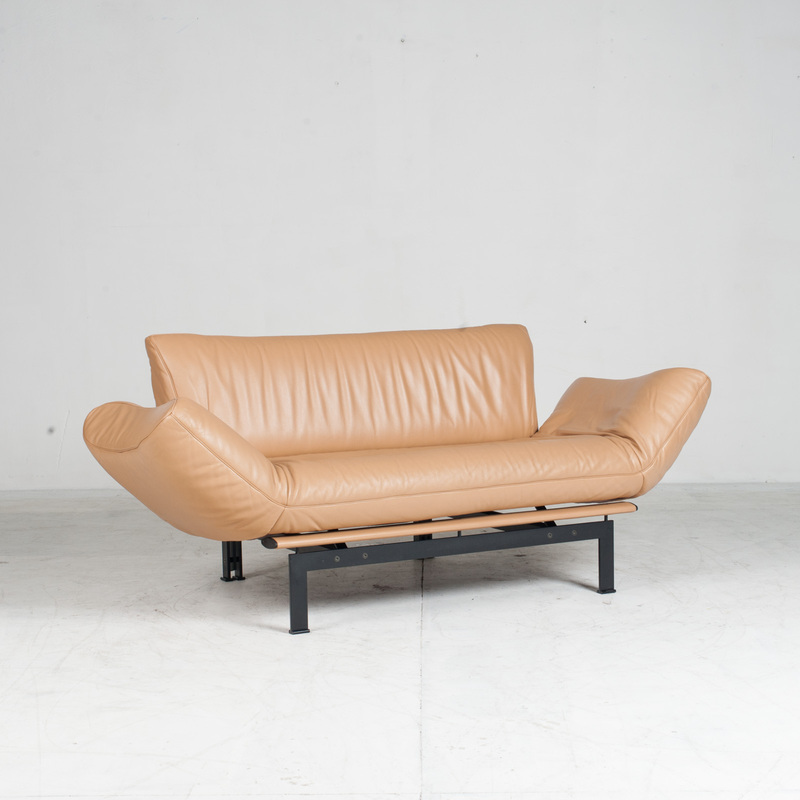 Fold to create a cosy 2-seater, or lay flat for extended lounging and additional space for guests. 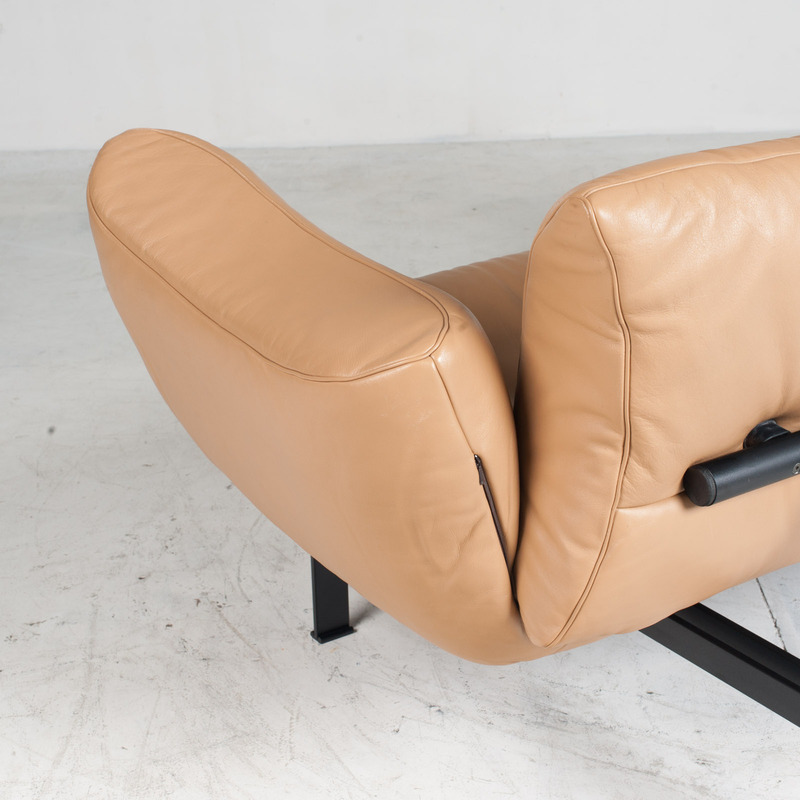 This flexible seating is perfect for apartment living with quality to last a lifetime! 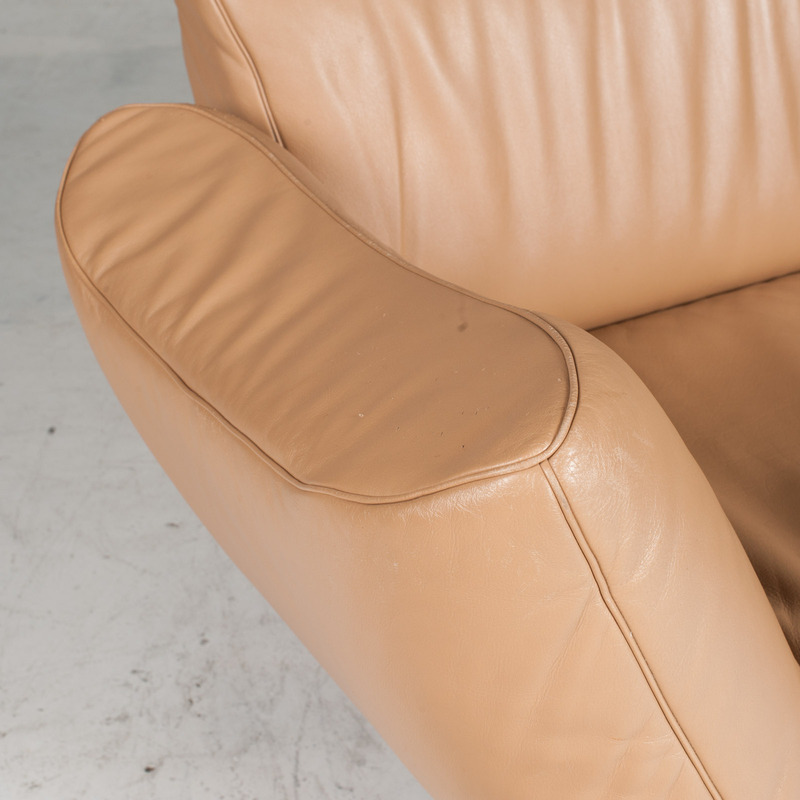 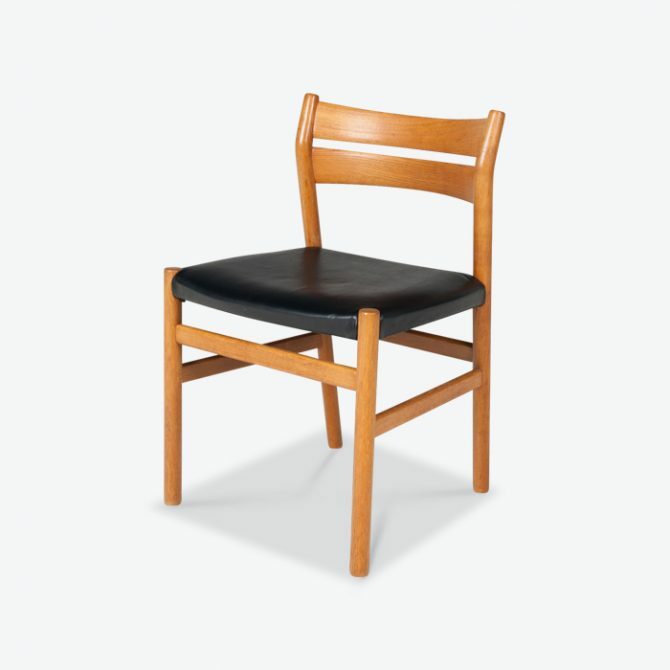 Own a piece of design history, and view our fantastic de Sede collection here!